Why would I need self storage in Newark, CA? There are a variety of reasons why you might need self-storage in Newark, CA. How much is a storage unit in Newark, CA? The cheapest storage unit in Newark, CA is $55.00 per month. What size storage units do you have available in Newark, CA? In Newark, CA we have sizes that range from 5'x5' to 15'x20' to suit your storage needs. How much is it for a 5'x5' storage unit in Newark, CA? The cheapest 5'x5' storage unit in Newark, CA is $58.00 per month. Newark is a diverse city in the Bay Area that's been steadily growing since the early 2000s. The town is considered an enclave, surrounded by the city of Fremont. Together, Newark, Fremont and Union City make up the Tri-City area. Newark got its start in 1872, when J. Ross Brown purchased 20,000 acres of swampland and decided he wanted not only to fill the swamps but also create a town. He found investors, and the town site was named Newark, after the Newark Castle in Port Glasgow, Scotland. In 1875, work started on a railroad through the city, which brought new residents and jobs to the area. Eventually, the railroad moved north, providing direct ferry service all the way to San Francisco. Hotels, schools and stores were built, and even a foundry came to Newark. Salt production has been one of the mainstays of the city throughout the decades, and remains one of the cornerstones of the local economy today. Newark has a relatively high cost of living when compared to the national average. However, the local neighborhoods offer homes at a variety of price points, and Newark remains a popular home for families, working professionals and retirees thanks to a low crime rate, scenic landscape and convenient location. Newark has a mild year-round climate, with dry summers and humid winters. 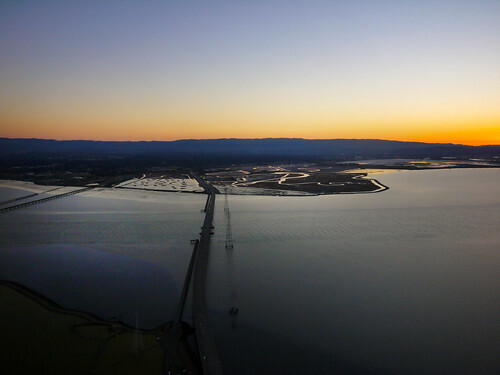 You'll be able to enjoy the weather at the town's several local parks, including a portion of the Don Edwards San Francisco Bay National Wildlife Refuge. Every year, a celebration of the city's founding takes place, called Newark Days. For four days the community gathers at a local sports complex for family activities, food booths and local performers. The Newark Unified School District manages the public schools in Newark, including elementary, middle and high schools. You also have the option of enrolling your child in a local private school. Newark is home to several post-secondary institutions, including Ohlone College and several other small universities. Utilities: Pacific Gas & Electric provides power, and the Alameda County Water District manages local water services. Garbage and Recycling: Republic Services is Newark's waste disposal services provider, offering curbside collection of both trash and recyclables. Transportation: Newark is connected to the surrounding area by the Bay Area Rapid Transit (BART), and you can also utilize transit services from AC Transit and the Dumbarton Express. The median home price in Newark is considerably higher than the national average, as is the average cost of rent. However, the area offers a range of housing options to fit your needs, budget and lifestyle. Our lowest priced units in Newark, CA average $72.25 per month. 292 people have reserved units in Newark, CA in the past 30 days. There are 4 locations within Newark, CA's city limits. There is 1 location in Newark, CA that offers AC and Heating features.